December is finally here and Rio is getting ready for the New Year’s Eve cellebrations! Meanwhile, we still have great events in Rio de Janeiro for you to join and have fun while waiting for 2019. Check it out! Every Monday, from 5pm until 11pm, Lapa is the right place to enjoy some Forró. If you’re new to Brazil and want to imerse yourself in the culture, good Forró music is a perfect start. Live music, professional dancers, forró classes, DJs and much more. Free entry until 5:30 pm; after that, R$10. Venue: Spaço Fractal – Rua do Lavradio, 170 map. Carioca funk music, reggaeton, parreo, cumbia, hip-hop and lot more. Latin parties in Lapa are a big deal, everyone loves it. Entry costs R$20 and it’s open bar until midnight. The venue for this event is Pub Kriok map, which is a 3-storey building with lots of space and different dance floors. Samba Que Elas Querem is a project organized by women only, bringing Samba to the streets of Rio. It’s a really good event to mingle with locals and enjoy samba music. It’s a free event, but they encourage you to leave tips for the artists playing there! Where: Banca do André – Rua Pedro Lessa, 1 – Cinelândia map. Big Sertanejo event in Rio! Two of the biggest female artists in Brazil are getting together for a big concert at the Olympic Stadium (Engenhão). Duo Maiara & Maraísa and singer Marília Mendonça are the main attractions for this event that is going to be big! Prices are ranging from R$40 to R$2000 and can be bought here. Gates open at 10pm. Truque do Desejo band is doing this great event to already warm up for Carnaval. Cheer up, put some gitters on and enjoy the party at Street Lapa, Rua Gomes Freire, 599 map. Starting at 10pm, the entry costs R$10 and can be only be paid in cash. Don’t worry though, because the bar inside accept cards as well. Vegan people, unite! This is a vegan fair at Museu da República map, in Catete neighbourhood. You can expect lots of stands selling food, beers, art, fashion, makeup, natural products and jewlery. From 10am until 7pm. Free entry. Subway station is pretty close, so use public transportation and enjoy your day. This is very unnusual in Rio and tickets are selling up fast. This event mixes open food focusing on BBQ and open bar with a very nice vibe. 12 hours of action, from 3pm until 3am. Restaurants confirmed for the event, are Brasa Burger, Chicken Lemon Burger, Pulled Pork by Ogro Jimmy, Burger Trio Heinz, Veggie Wrap and Bratatas. Open bar with craft beer, whiskey, gin, vodka, rum, sodas, Red Bull and water. This is a perfect event for a foodie, so don’t miss the chance! For tickets and more events, click here. One of Rio de Janeiro’s best-kept secrets is the island of Paquetá, off the coast in the bay of Guanabara. A small place where cars are not allowed, and where bicycles rule. With this tour, you’ll hop on a bike in Ipanema to set off in the direction of Paquetá, an old refuge for bohemian Cariocas. Price: R$95. Choose between a 4k run, 4k walk or 8k run. Sign up on their officil website and get the information about payment and running kit here. Samba music outdoors at Urca. Great view and great vibe. Venue: Círculo Militar map. Cost: R$35, can be paid at the entrance. Starting 6pm. Meditate every Tuesday with this group called Crer&Ser in Flamengo. Address: Largo do Machado, 39 sala 02. Price: R$30. Parque das Ruínas is a park and cultural center located in Santa Teresa neighborhood, in the ruins of a mansion that was the home of the great patron of the Belle Époque of Rio de Janeiro, Laurinda Santos Lobo. For this event, a great Roda de Samba is promissing lots of fun for everyone there. R$30 at the door. Event starts at 6pm. Address: Rua Murtinho Nobre, 169 – Santa Teresa map. 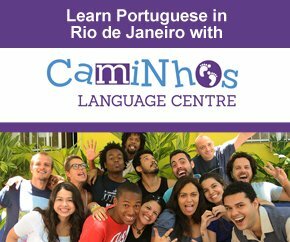 A Caipirinha event hosted by Caminhos Language Centre. This is an informal party on the sidewalks, where they offer really good caipirinha for only R$5 and you can meet other foreigners in Brazil, as well as local friends who stop by. The atmosphere is always great, with free snacks available and Brazilian music playing. Starts at 5pm but people usually start to arrive around 6:30pm. Rua Farme de Amoedo, 135 – Ipanema. Food, fashion, craft beer, art and more. Live ’80s music starting at 1pm. Venue: Praia Vermelha – Urca map. Free event. This event in Praça XV map will bring music, art, sport and technology to Rio de Janeiro this weekend. On December 15th and 16th, Praça XV will host a great celebration of music, skateboarding, artists, digital culture, gastronomy and an incredible crowd that is moving the national urban scene. For the attractions, live concerts, workshops, skate tricks, food stands and more. Saturday from 4pm until 2am and Sunday from 4pm until 11pm. Free event. Rio de Janeiro is famous for its nature, and Tijuca Forest is one of the best places to visit to see the rich nature the city has to offer. From great hikes to refreshing waterfalls to awesome views, it is all there in one of the biggest urban forests in the world. Price: R$95. Dennis DJ is a great DJ and carioca funk music producer in Brazil. His signature party, Baile do Dennis, is one of the best carioca funk parties in the country. This time, they’re going to Niterói for the last party of the year in Rio. Attractions: Mc Kevinho, G15, Kevin o Chris, Sapão, Cidinho & Doca. Get ready do dance all night long and have fun!! Tickets ranging from R$45 to R$180 can be bought here. Venue: Caminho Niemeyer – Niterói map. Samba jazz beer party in Urca. Food, fashion, craft beer, art, live music and more. Venue: Praça General Tibúrcio, Urca map. From 1pm to 10pm. Free event. Bar DuZé is a famous samba party in Rio. It happens a few times a year and this is one of them. It usually gets pretty crowdy. Tickets online ranging from R$55 to R$110 can be bought here. Main attraction: Sorriso Maroto. Venue: Jockey Club Brasileiro map. Starts at 2pm. Situated across the bay of Guanabara, you’ll find the city of Niterói. Starting from Ipanema this bike tour will take you to Copacabana beach, Botafogo and downtown Rio – with several stops on the way. In Rio’s Center you’ll take a ferry, while bringing your bike on board as well, and will go to Niterói, where you’ll visit lots of beautiful spots. Price: R$95. This big party is promissing to bring the celebrations for New Year’s Eve and Carnaval closer with lots of fun and attractions. Many ‘blocos de carnaval’ are joining singer Saulo Fernandes for a huge party. If you like the summer vibe in Rio, you’re most definitely love this event. Tickets are ranging from R$60 to R$215 and can be bought here. The event starts at 2pm at Cidade das Artes in Barra map. 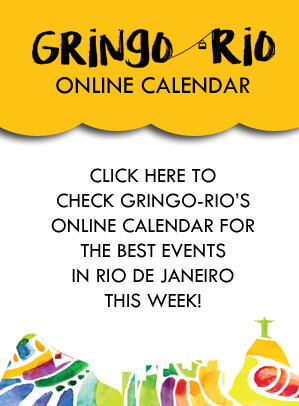 For more events in Rio de Janeiro during the month of December, check Gringo Rio’s Online Calendar.